A 1920s masterpiece in Italian Futurism, it turned around the concept of ‘gravity fed’ production ( materials coming into a roof and products out of the door), by elevating the finished cars upwards an onto a racetrack! It’s now a very different building, but it’s interesting to note for our creativity musings, the building, cited by Le Corbusier himself as ‘genius’, was designed by an unknown naval engineer, and not an architect, in 1923. Fiat’s former factory, Lingotto, today is home to a hotel, an Italian university, an impressive conference space, several galleries, an auditorium, two cinemas and a shopping complex. A mall, which according to the Agnelli Foundation (set-up by the grandchildren of Fiat’s founder Giovanni Agnelli), was created to be unlike ‘the banal models of North American shopping centres’. More self-consciously cool than possibly any public space in the world, it reflects the obsession and counter-point in cultural sensibility the building’s creators always had with America. The ‘gimmick’ was, of course, Lingotto’s incredible 2 kilometre-long by 24 metre wide rooftop test-track. With views across the Mirafiori area the circuit’s awe inspiring circuit has made a backdrop to many iconic images over the decades, from Mussolini’s cavalcade in 1939 through to the 1960s invasion of Mini Coopers and Michael Cane in the Italian Job. A symbolic ‘crowning’ of Lingotto, the little-known engineer who designed this building for the Angelli, Giacomo Matté-Trucco, turned the rational American production concept of ‘gravity flow’ (where materials arrive on the roof of a factory and goods come out at the bottom) on its head. In 1920s Italy, materials came in through the door, and the bella machina – the symbol of the Modern Age emerged elevated onto the sky-high test track. Lingotto was Italy’s stylish answer to Henry Ford, embracing industrialisation with zeal, scale and, most interestingly what Banham called ‘sheer rhetoric’ of modernism over the modernity of more rational and economic construction. The shrouded truth, it’s said, was that Lingotto was never a ‘good’ building for its purpose. A flawed industrial design, even by 1920s standards, American production favoured lightweight steel buildings, that could be easily extended, and a moving production line on a single story. According one industrial historian, by 1930 Ford were building over 15-times as many cars per day in Detroit. Even the emblematic test track was style-over-substance. Rarely used, Fiat test engineers saw the tracks as impractical, its tight 180 degree banked-bends required almost parking speeds to ensure safe passage. 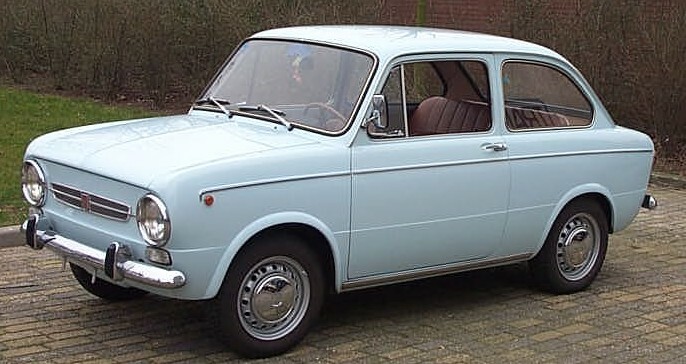 By 1933 Fiat’s newer site in surrounding Mirafiori began being built, with production ceasing entirely at Lingotto in 1982, where a recession and a reputation-struck company needed a new start and new production methods. The dawning of the robotic car manufacturing age, teams of men, production lines and their cavernous buildings cast futurism as an ancient history. Despite this troubled chapter in Lingotto’s story, its architectural importance was never questioned by the financially-challenged Fiat family, the upset Fiat workers’ unions or the regional government – it was universally considered an icon that needed a new purpose. And in 1984, it got it, when a new chapter was drafted, with over twenty of the world’s leading architects presenting ideas for reconceiving Lingotto. Perhaps with the blessing of Turin’s Municipal Government, by 1986 Renzo Piano (already involved in the regeneration of industrial Turin) was commissioned by Fiat ‘to do the job’. And what a job it was. Like its ambitious origins, the transformation of Lingotto was gargantuan, the first two phases alone took 10 years to complete. Lingotto in its current state was not finished until 2002. A scheme that involved thousands of technicians, hundreds of engineers, several architectural firms and an army of administrators, bureaucrats and banks – restoration saw Matte-Trucco’s tessellating six by six metre grid, the rooftop track, and the two enormous façades all restored. The building was capped by a new roof-top glass and steel gallery overlooking the circuit. Futurism reconceived and repositioned for a new Italian export of lifestyle, taste and leisure. What would Agnelli senior and his humble naval engineer designer think of this re-creation today? Whatever that might be, at least it’s not something Ford, Chrysler or any other car company could ever achieve.